In order to function at its utmost capacity, our body needs to acquire its adequate daily needs like vitamins and minerals which are found in foods we eat. Unlike any other minerals that our body essentially needs, potassium has a high regard in maintaining our bodily functions and equilibrium. It is a sort of electrolyte that aids your nerves to function and muscles to contract which supports the heart in sync and in a regular rhythm. It is also essential for the movement nutrients into cells and waste products out of cells. A diet rich in potassium maintains the balance of the sodium's harmful effects on blood pressure. Resulting side effects will show up consequently if the potassium levels drop which may directly affect the systemic functions of our body. The decrease in potassium levels or hypokalemia could lead to a serious imbalance of our body function such as indigestion. It may induce stomach cramps and diarrhea. If this happens, it is advised to take a significant water intake due to side effects such as decreased water retention to the body. Having hypokalemia can directly affect the condition of the heart. It may induce irregular heartbeat and even palpitations because the heart muscles are not fit to provide efficient muscular contraction. This will result eventually result in arrhythmia. 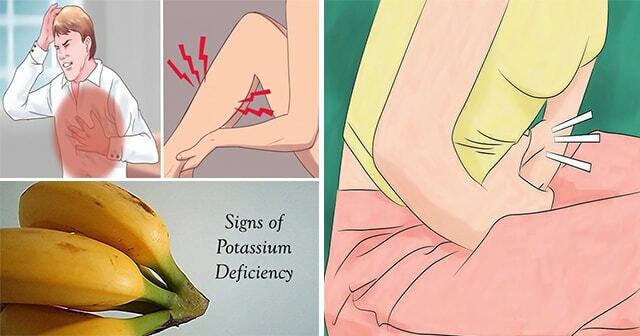 It is best to take food rich in potassium to prevent these kinds of conditions. Potassium is known for its properties to stabilize the effects of sodium in the body. A balance of the two minerals will regulate flushing out of liquids and will reduce the high blood pressure. Potassium insufficiency can affect the function of both cells, tissues, and organs of the body. Due to the fact that muscles need potassium in order for them to function well, this will explain why there's a feeling of weakness in our body one potassium levels drop from normal. Potassium is essential for nerve conduction and function. A burning feeling, tingling sensation, and numbness will be the drawback of decreased potassium levels. It is advised to seek medical care if these symptoms worsen.